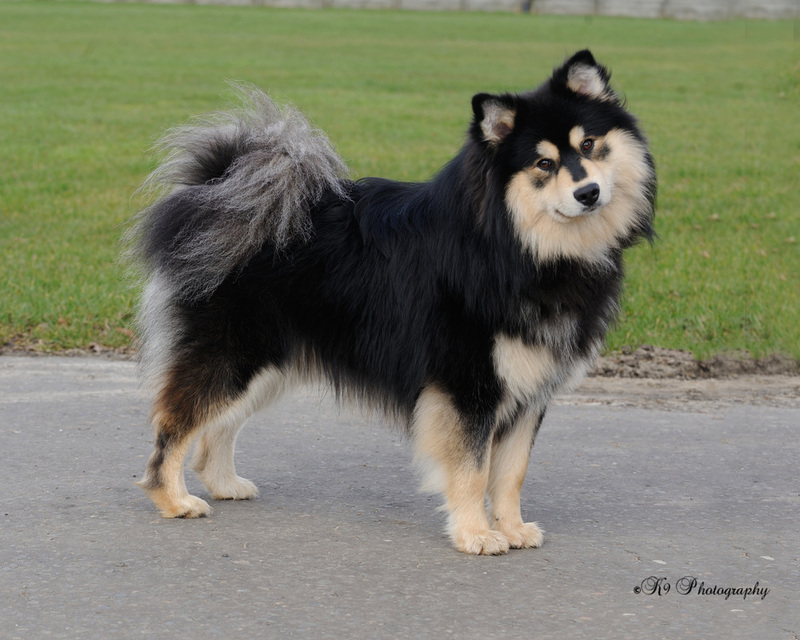 Top Winning Finnish Lapphund of 2014 & the first Lapphund to win all three show titles. 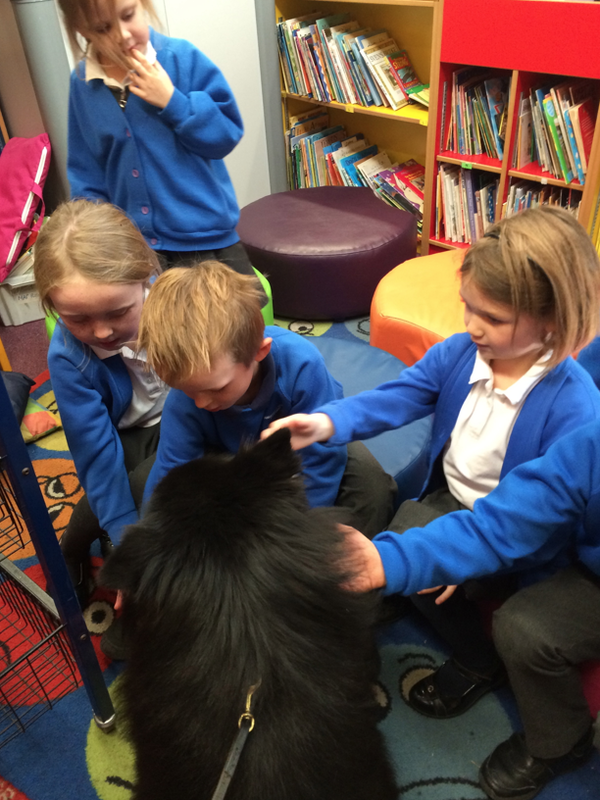 Salo has the most amazing temperament with people & is a registered PAT Dog visiting both the local nursing home for dementia patients & a local school where he listens to the children read :-) He is a very popular Teachers' Assistant! 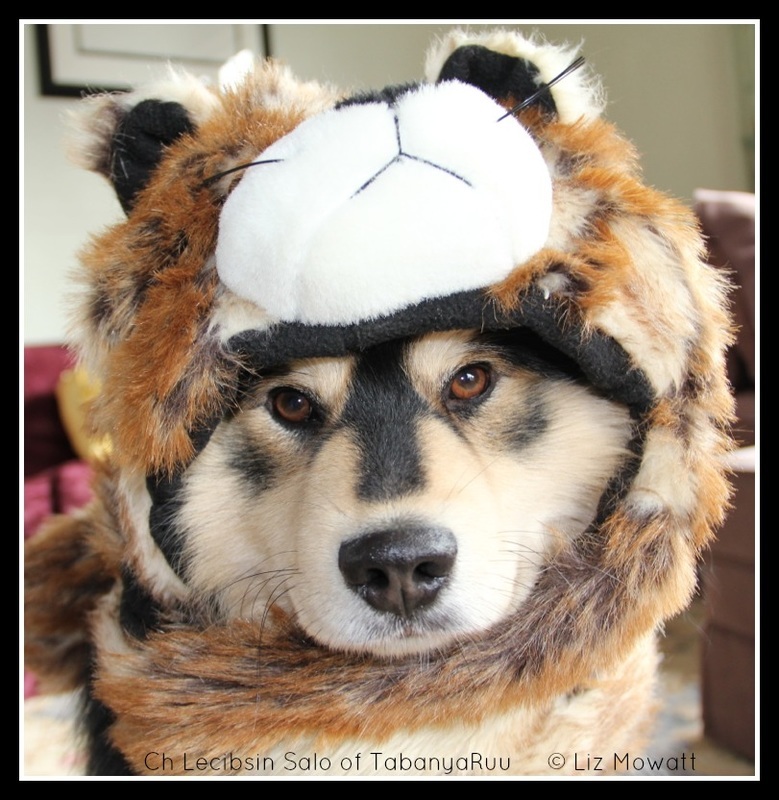 Salo has gained his Gold Versatility Award - to learn more about this award click HERE. 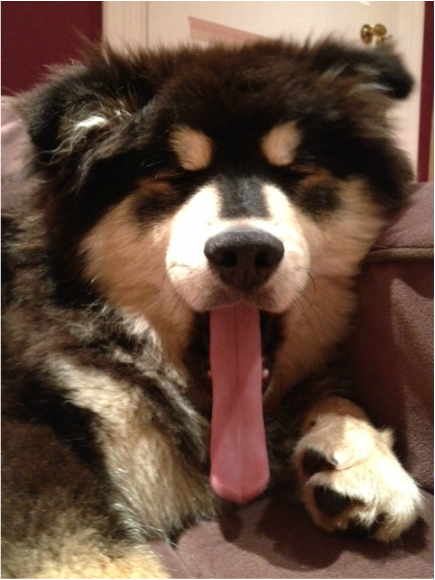 Salo expertly catching his tidbit - photo Christian Caruso. The winning moment captured perfectly by Christian Caruso. NEWS!! 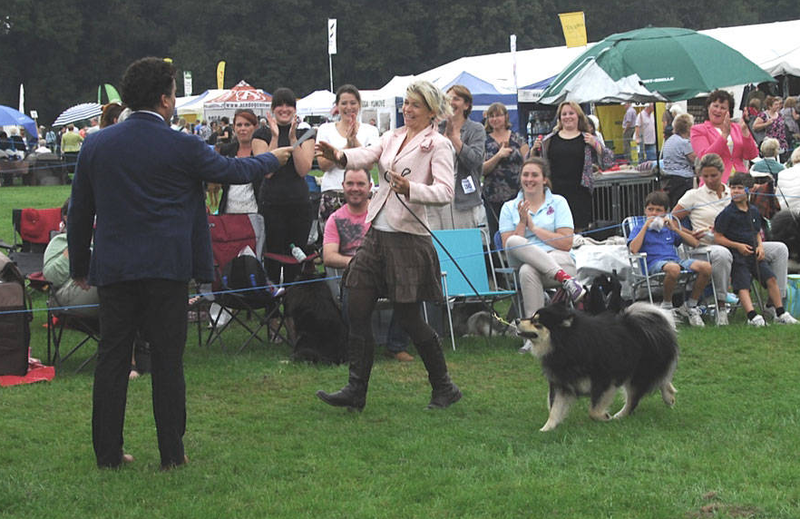 6th September, Salo wins his 3rd & crowning CC under Dutch judge Rony Doedjins who also awarded him BOB. You can see Salo strutting his stuff in the group judging by clicking HERE. 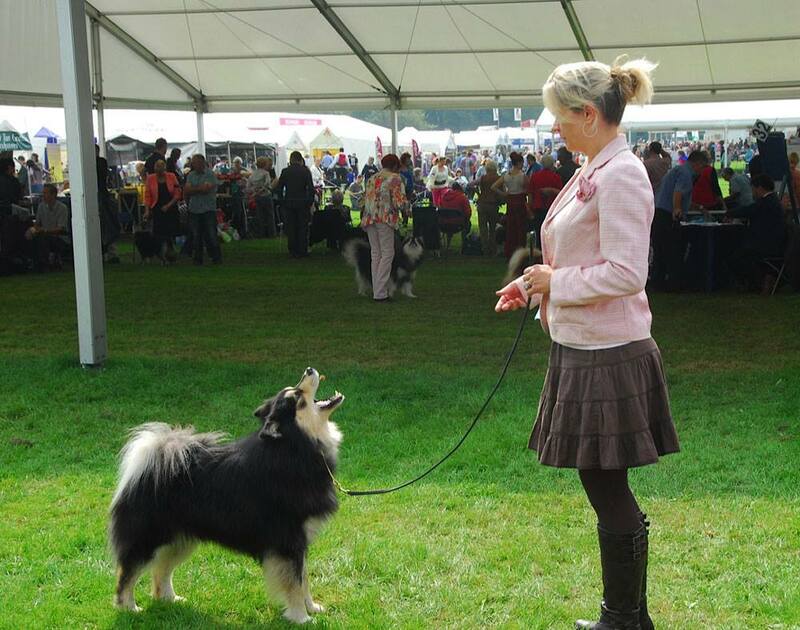 16th August - Salo wins Rec CC under Zena Thorn Andrews at Welsh Kennel Club. 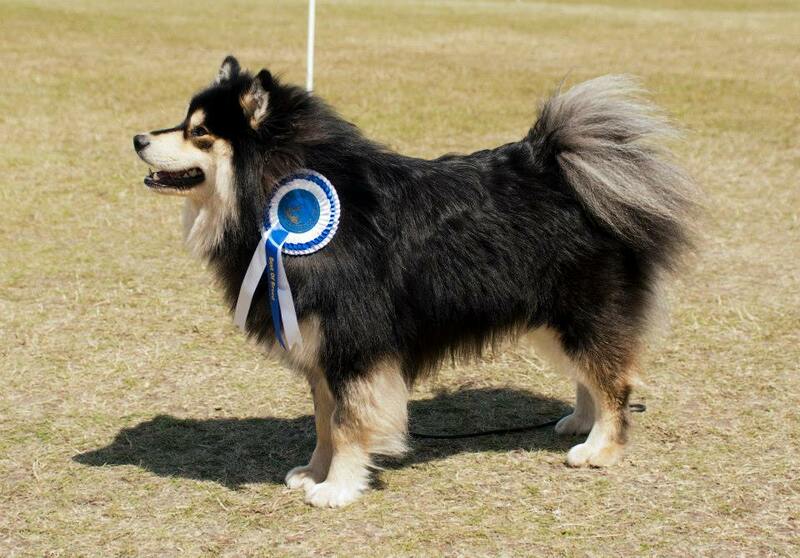 June - Salo wins BOB & his 2ND CC under Finnish Judge Pekka Teini! 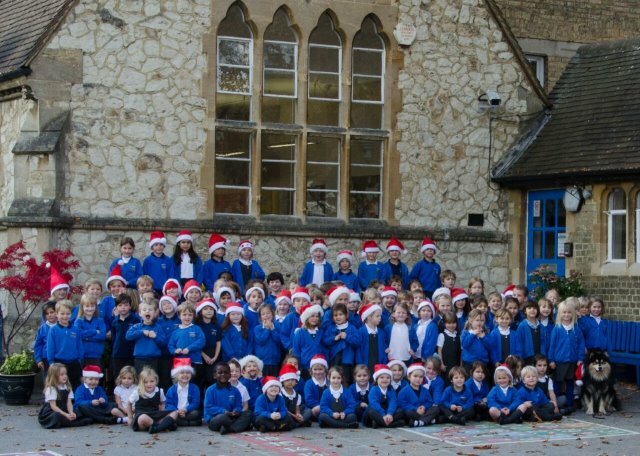 You can read all about it & view photos by clicking HERE. 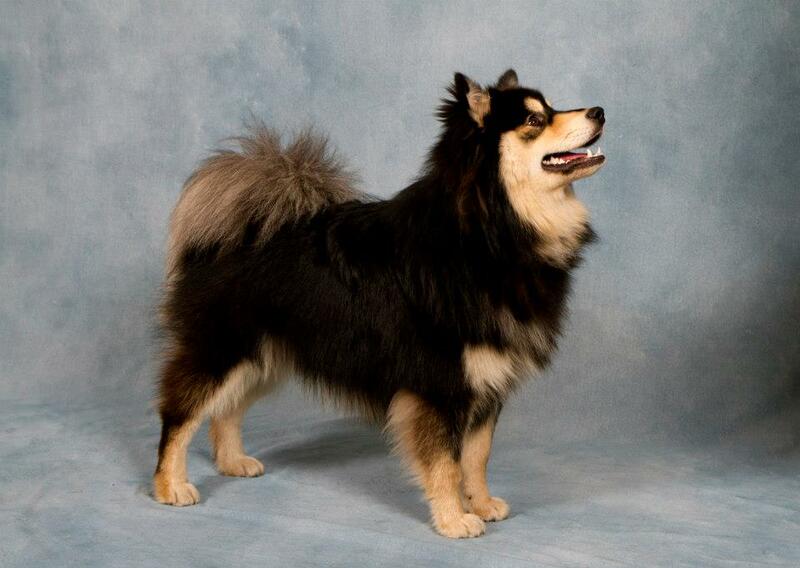 April - Under breed specialist Pat Patch, Salo wins his 1st CC. 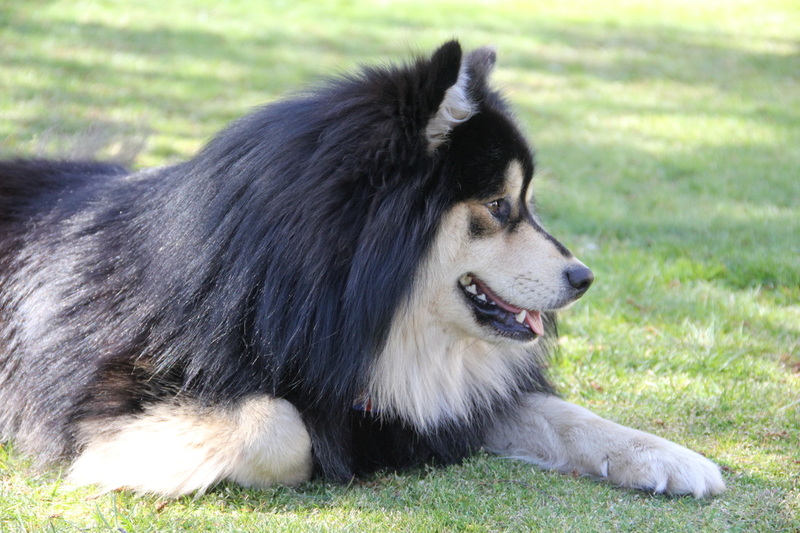 For lots more photo of Salo & to see his show results, visit the Show Photos Tab or click HERE. 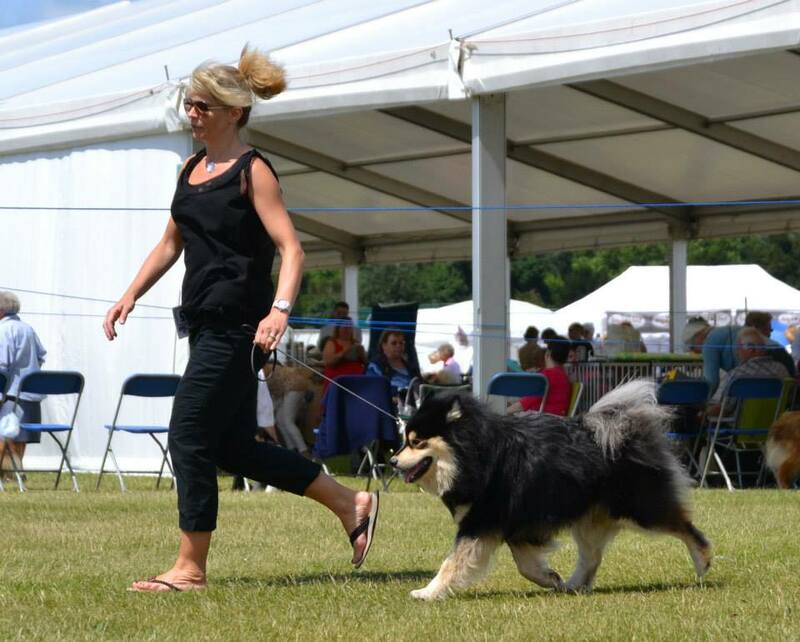 Salo wins a strong class in Limit Dog under Stuart Mallard. To read the critique click here. 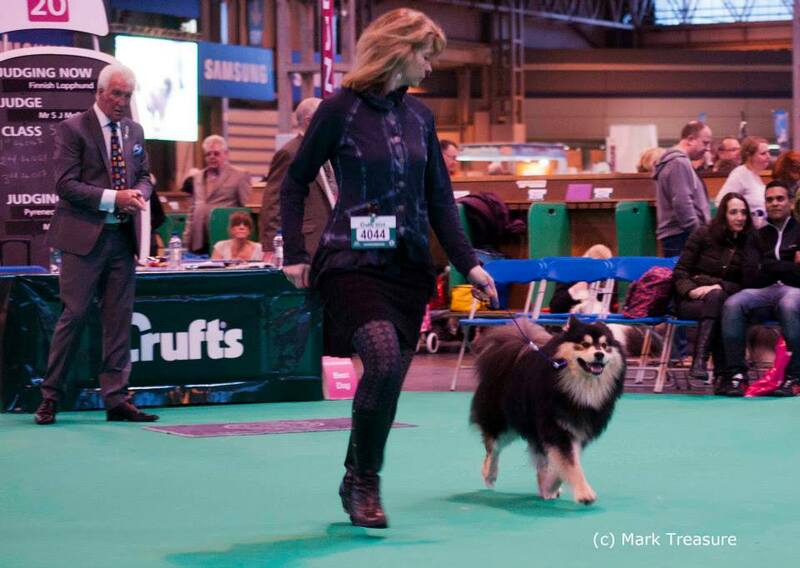 Salo finished his puppy career in style, taking Best Puppy at Crufts. 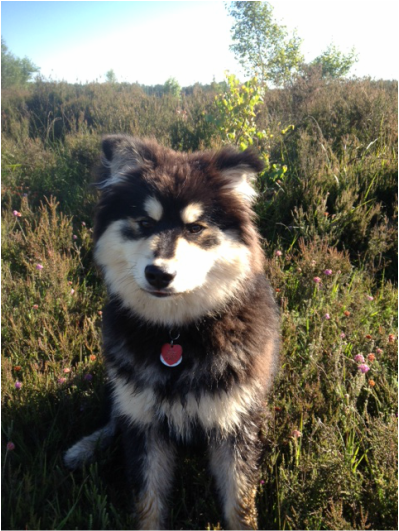 It is very difficult to quality a puppy for Crufts, so I felt privileged just being there with him. 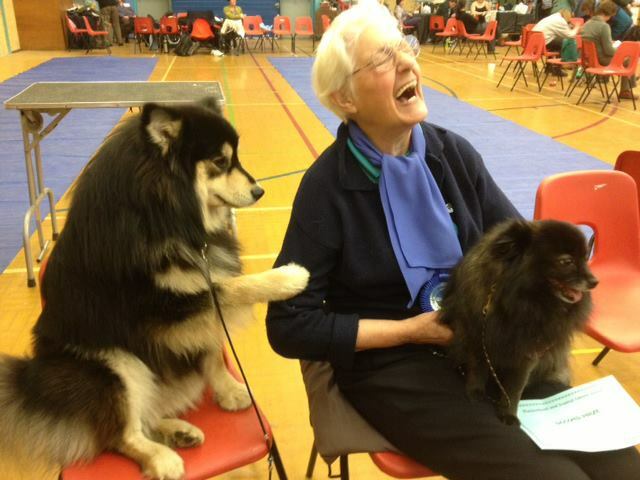 In fact, he was shortlisted to the final three for Best Dog! 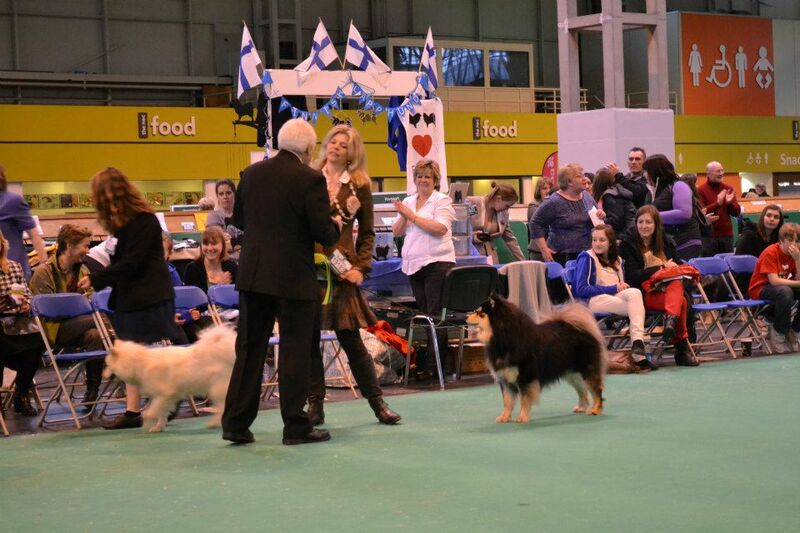 You can see the judging of the Dog Challenge at Crufts on the video to the left. Pictured left, Salo after winning Group 2 at Horley & District. 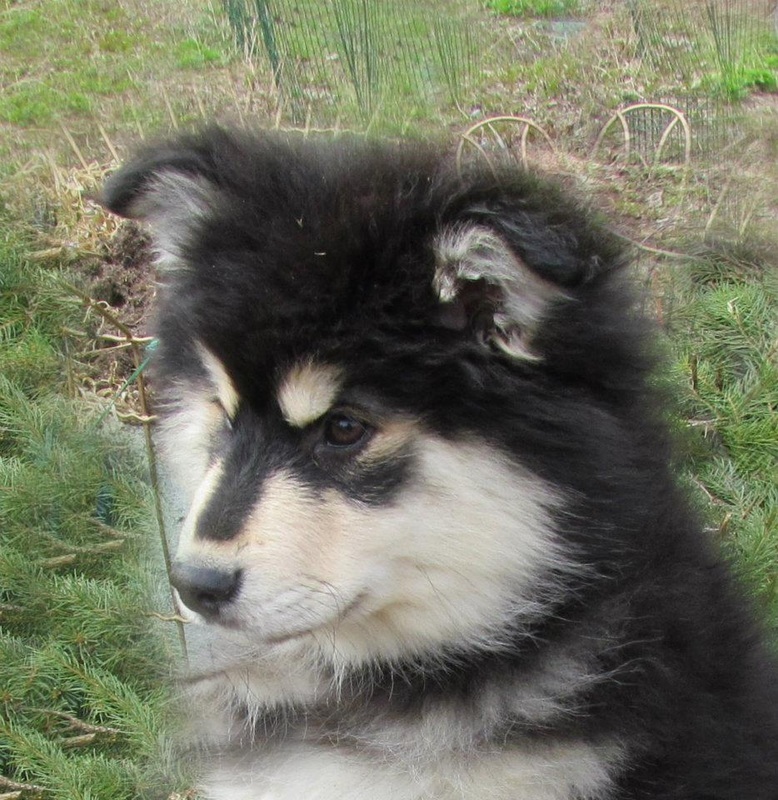 February 2013 saw Salo's first classes as a junior. 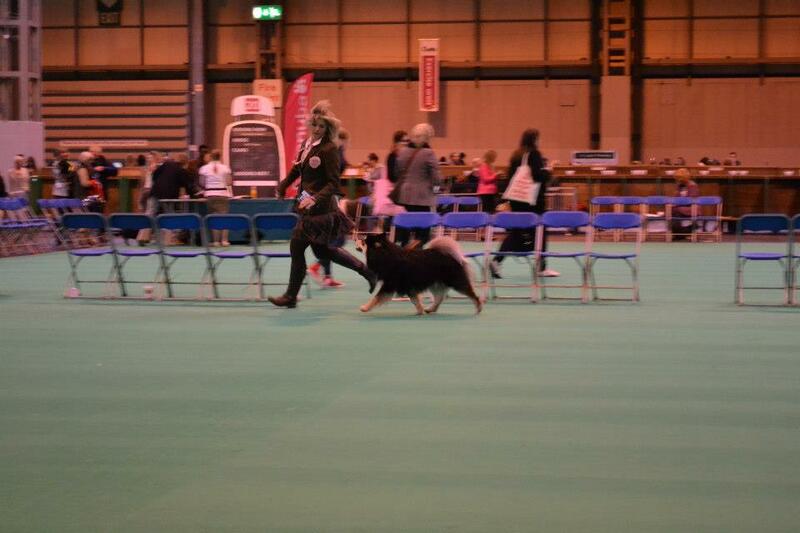 First up was Maidstone & District, where he went Best of Breed in AVNSC & then took Group 4. 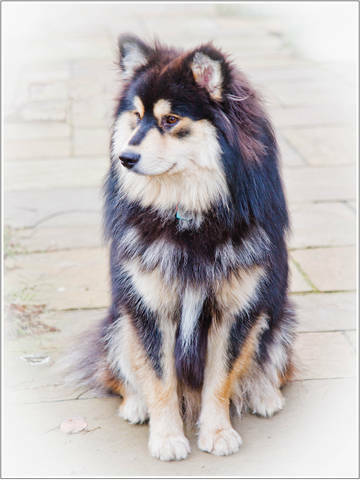 The following day he was entered in Finnish Lapphund classes at Horley & District, where under Mary Starling (Starlapps) he won Best of Breed and went on to take Group 2!! As usual, he spent as much of the day as possible sitting on my chair! 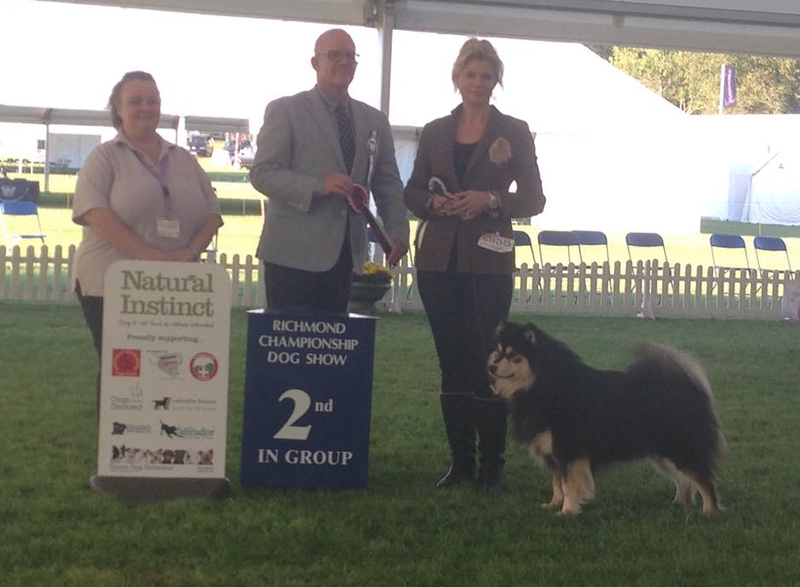 Zinty was also shown and came second out of seven in Open German Spitz Class, I was thrilled! 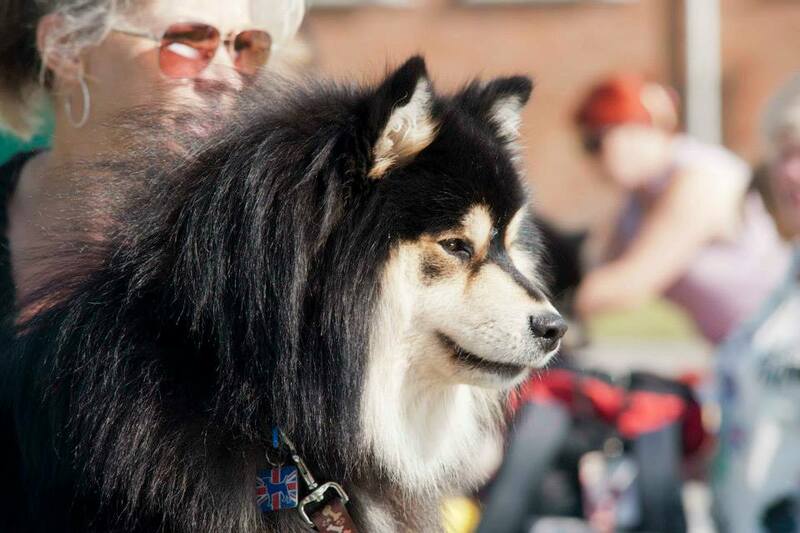 Salo win Best Puppy in Breed at his last Open Show as a puppy. 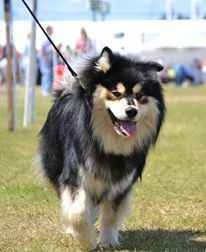 On Sunday January 6th Salo competed at Ashford & Faversham Open Show in the Lapphund Breed classes. 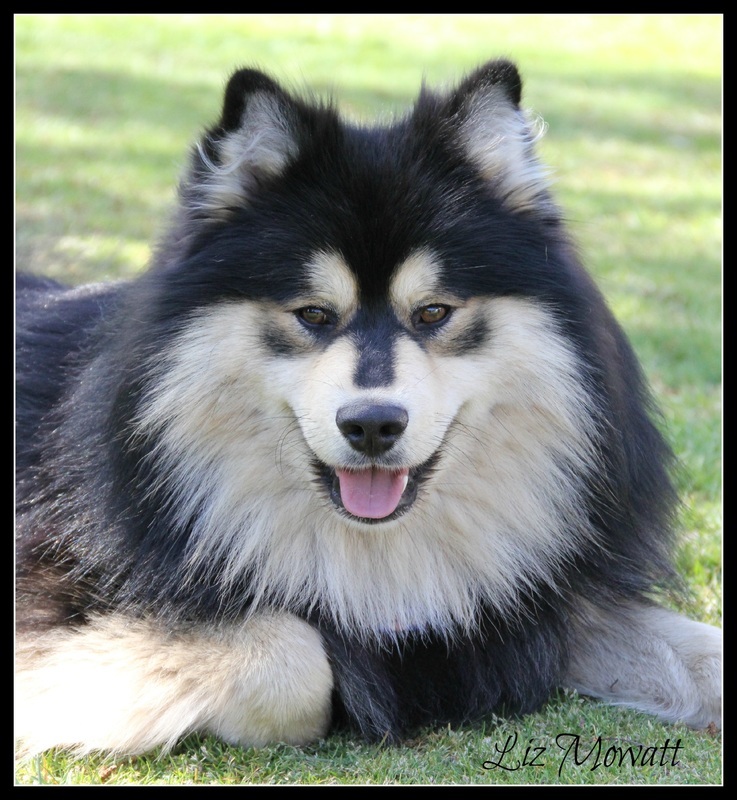 I was thrilled when he won Best Puppy then went on to win Puppy Group 2! 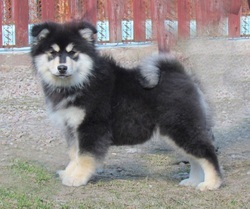 I also learnt that he is joint Top Puppy in Breed for 2012 (according to Our Dogs Newspaper). Only wins at Championship Shows with CCs count towards this award. 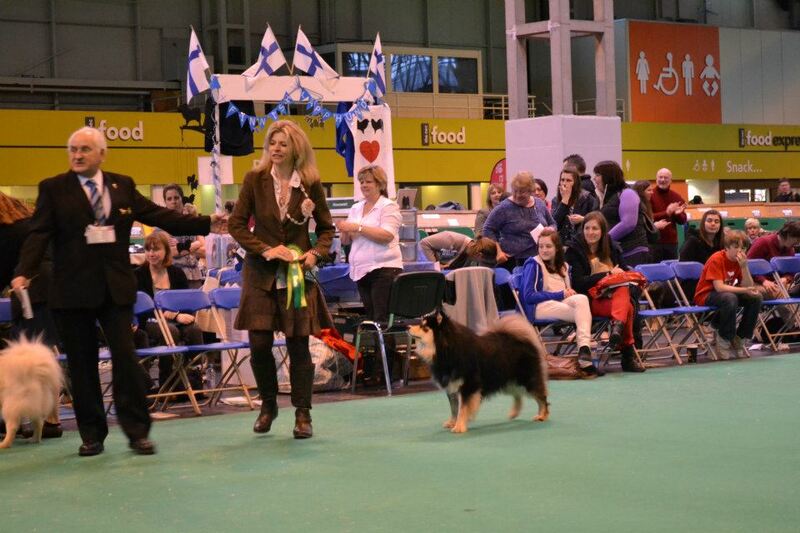 The other winner was Steve & Elaine Short's Millermead Quintessence to Glenchess. 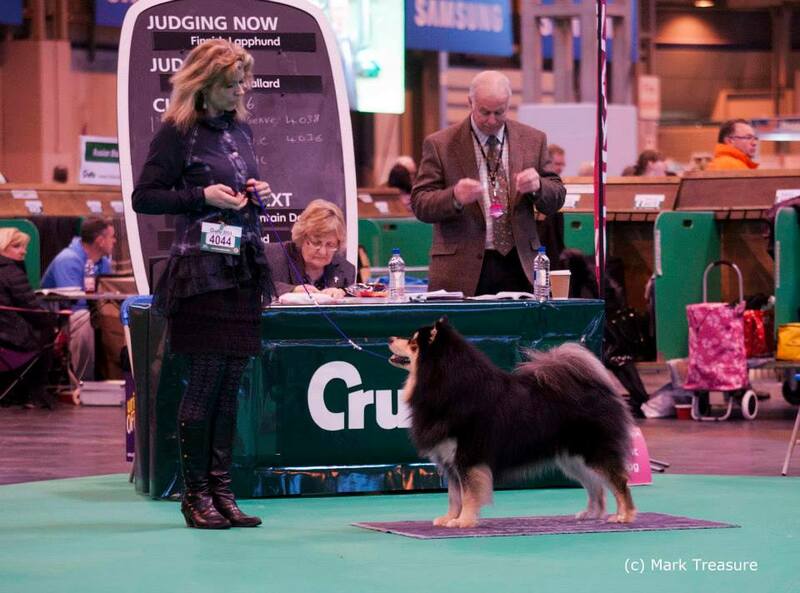 Salo gets one more chance to compete in the 'Special Puppy Class' at Crufts on Sunday March 10th. 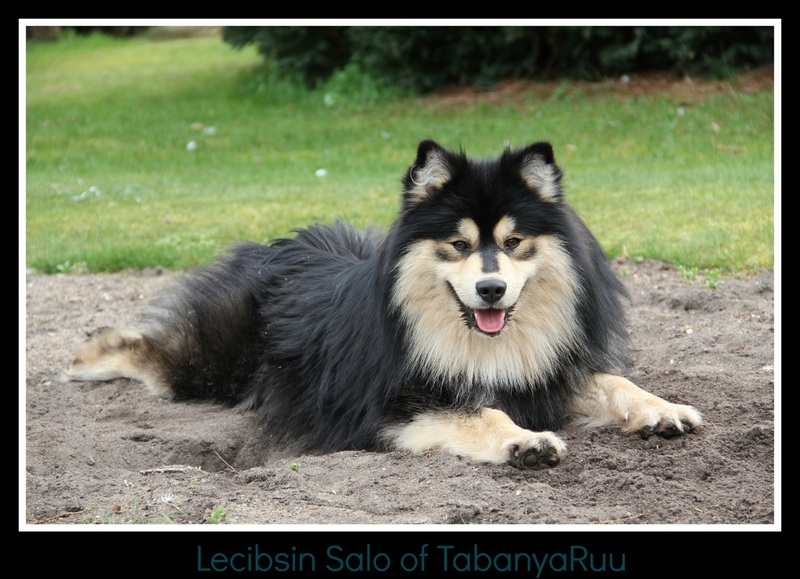 We have had quite a bit of snow this past week & of course Salo has LOVED it! 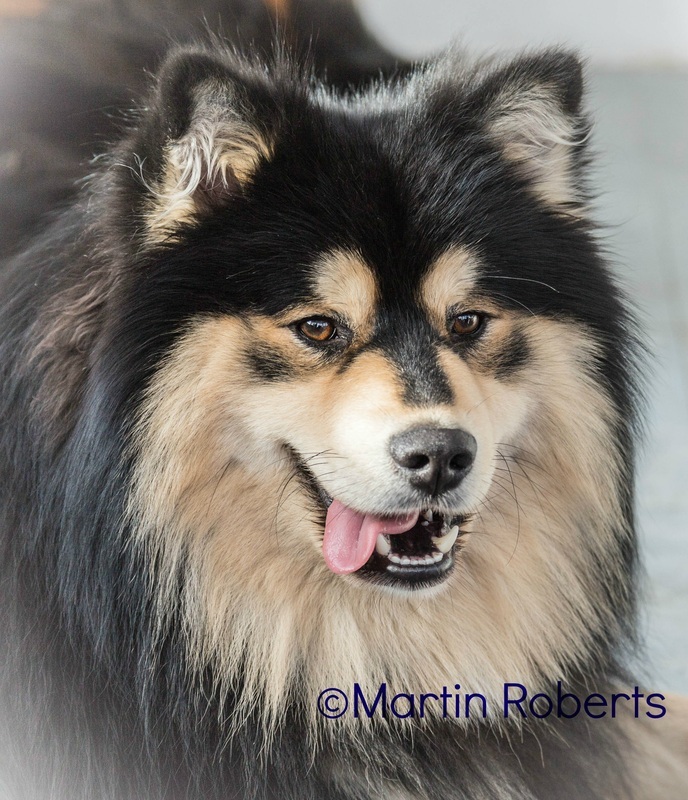 Salo 11 months - photo by Martin Roberts. 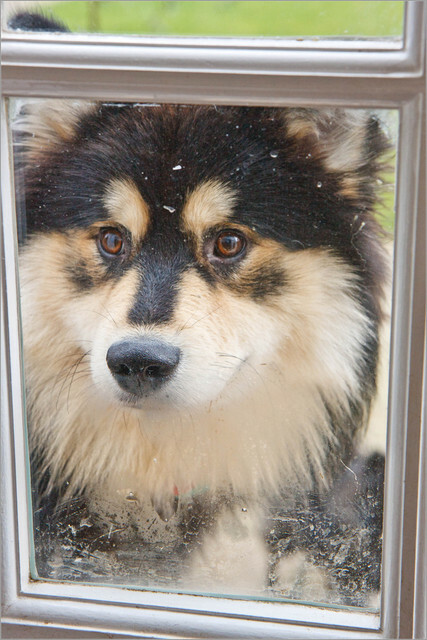 Salo 11 months "let me in!!" - photo Martin Roberts. 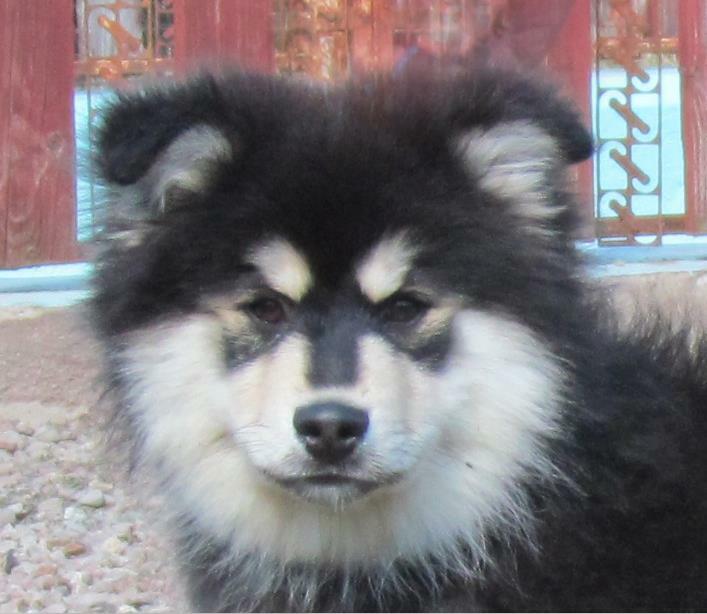 I was delighted when Salo won Best Puppy In Show under Niki Allison (Oberitz) on Saturday 24th November, 2012 aged 10 months to the day! 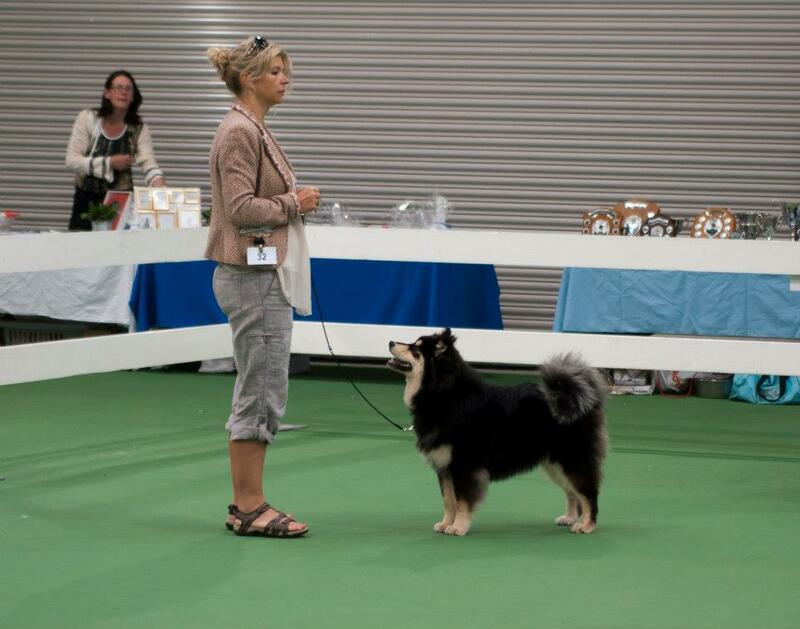 This was his second BPIS Award, the first being at the FLCGB Open Show under Clive Muzzelle (Thulens) in Sepember 2012, aged 7 months. 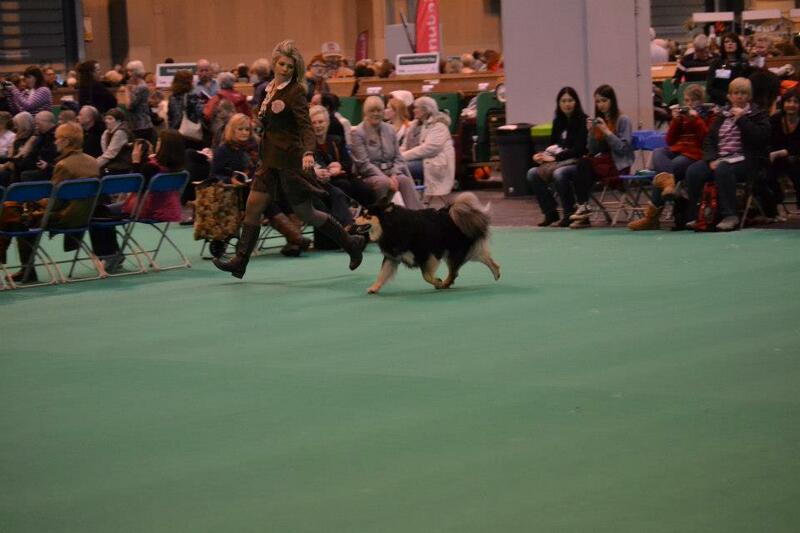 Salo winning Puppy Group 2 under Sue Bird, aged 7 months. 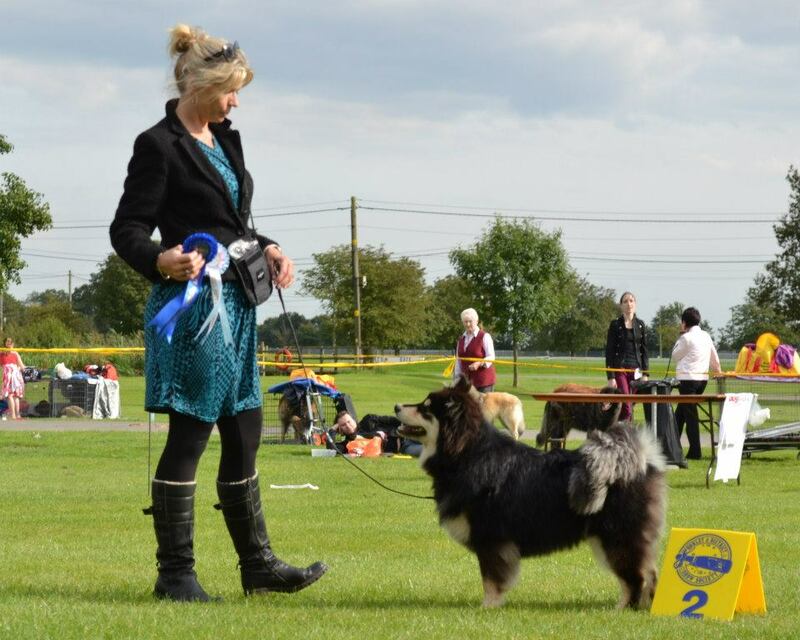 Salo winning Best Puppy in Show at FLCGB Club Show, September 2012, aged 7 months.